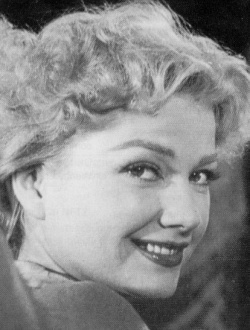 The granddaughter of architect Frank Lloyd Wright, Anne Baxter began her career in teenage good-girl supporting roles during the early 1940s, but by the second half of the decade, proved herself a very capable actress in more-demanding and less-wholesome roles, earning two Oscar nominations. One of Baxter's earliest films under contract to 20th Century-Fox was SWAMP WATER (1941), French director Jean Renoir's first American film, shot on location in the Okefenokee National Wildlife Refuge. 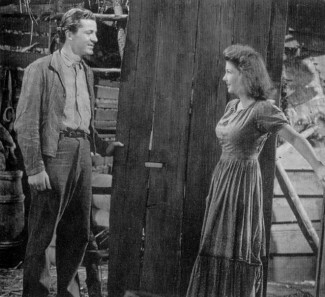 Opposite Dana Andrews (left), Baxter plays Julie, a backwater orphan whose father is wanted for murder. Although Baxter doesn't have a whole lot to do in the film and at times seems wrong physically for the part, she nonetheless plays her role effectively. 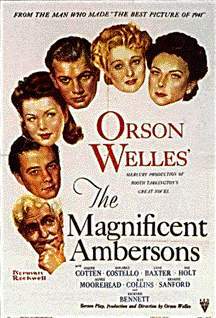 After testing for a number of first rate parts for which she was still too young, Baxter's break-out role (although still a juvenile) was that of Joseph Cotten's daughter Lucy in Orson Welles' butchered adaptation of Booth Tarkington's novel THE MAGNIFICENT AMBERSONS (1942). Although severely re-edited by officials at RKO who cut approximately three reels of footage from Welles' original rough cut (much of which, presumably, featured development of Baxter's character), AMBERSON'S still features first-rate performances by Cotten and Agnes Moorehead, as well as intriguing stylized photography. Unfortunately for Baxter, what remains of her character, although respectably played, isn't terribly interesting. "Dancing" with Joseph Cotten, Ray Collins, Dolores Costello and Tim Holt (a .AVI file courtesy RKO Pictures/Turner Entertainment). 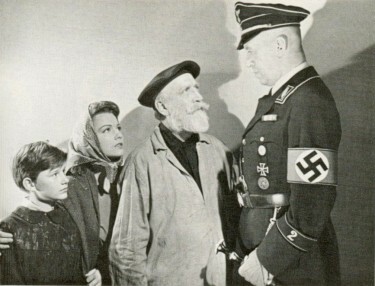 Baxter (still a juvenile) with Roddy McDowall, Monty Wolley and Otto Preminger in a publicity still from THE PIED PIPER (1942), a wartime drama about an Englishman who attempts to smuggle a group of French children to safety. A poster from THE NORTH STAR (1943), Samuel Goldwyn's World War II tribute to America's Russian allies -- in this case, a commune of Ukrainian farmers menaced by the Nazis. 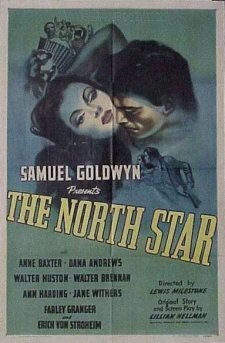 Baxter received top billing for the first time in THE NORTH STAR, which also features Dana Andrews, Walter Huston, Walter Brennan, Jane Withers, Farley Granger and Erich Von Stroheim.